Home / Operations / Big Retractor System! What you are looking at is the abdominal retractor system known as Turner Warwick. 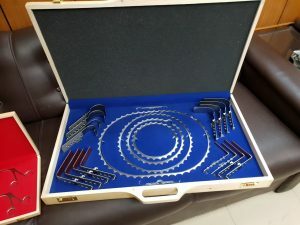 This particular set was manufactured specially for one of our valued friends and doctor at Shifa International Hospital, Islamabad, Pakistan. The casing was also custom manufactured to suit the odd dimensions and requirements of this instrument. 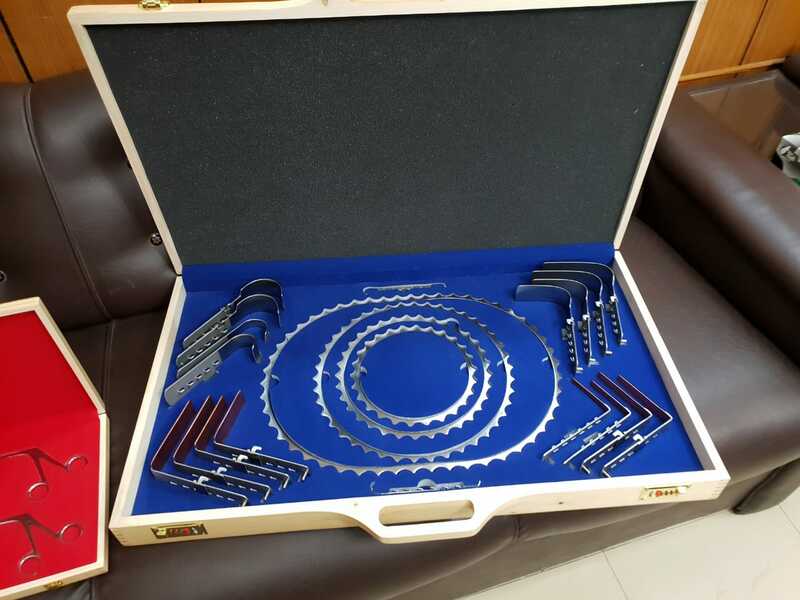 This retractor system comes with a large number of rings and blades and is technical feat to manufacture and use. Many of the blades are malleable even though they are made of stainless steel. The edges have to have a soft corner all around the retractor system so as to not cut the body tissue unintentionally. All in all, its an amazing instrument and requires craftsmanship on the part of our labor. Good job everyone!